Trying to figure out who towed your car? It definitely wasn’t us! Isabella’s Towing is a voluntary towing company in Las Vegas. That means we don’t do impounding or repossessions. We only work with car owners who need a voluntary car towing service. Still, we understand what a nightmare it can be to leave a restaurant or store and find your car gone. 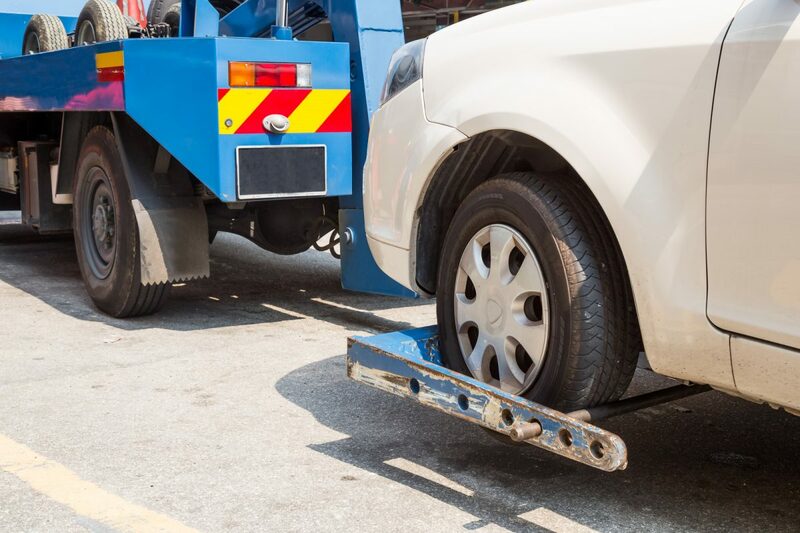 A tow truck company in Las Vegas can only tow a car without your request if it was involved in an accident, you parked unlawfully on private or public property, or the police request the tow. Here’s what you should know about finding out who towed your car and how to get it back. Check around where you parked for a posted sign detailing parking regulations. In a parking lot or parking garage, the sign will usually have contact information for the car towing service the property owner or manager uses. The towing company can tell you where your car was towed. If you don’t see any posted signs but you’re fairly sure your car has been towed, you can call the Las Vegas Police Department, call 311, or visit AutoReturn.com, which reports all repossessed and privately towed vehicles in the Las Vegas jurisdiction. Note you will need to call the North Las Vegas, Henderson, or Boulder City Police Departments if you parked outside of Las Vegas. The LVPD recommends checking the AutoReturn website first as it’s the fastest way to check if your car has been towed. Once you confirm your car has been towed and you locate the towing company in Las Vegas, you will need to arrange to get your car out. You will need to provide identification such as a driver’s license, proof you own the vehicle like a current registration, title, or a report of sale. You must also complete a release form if the car has a hold by the Police Department. Be prepared to bring the money to pay the fees to get your car released. In Las Vegas, it’s common for private tow truck companies to accept only cash. Because impound storage fees are added daily and you can be charged extra for arriving outside of business hours, it’s important to retrieve your car as soon as you can. The fees you may need to pay to get your car back can include a towing charge, a boot removal fee if your car was immobilized before it was towed, a per-mile fee for the tow, a vehicle release fee, a flatbed fee if your car was disabled, and storage fees. In Clark County, about 33,000 cars are involuntarily towed every year. Prior to a Nevada towing law in 2015, tow truck companies could charge about $150 a day for storage fees. There are now three designated low-cost storage yards that charge $20 per day for vehicle storage to make it more affordable to get your car out of impound.